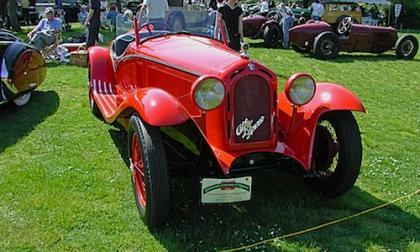 Alfa Romeo Automobiles is founded as A.L.F.A on 1920 in Milan. The essence of this luxury car is sports and safety. During a year when it seemed that the Pebble Beach Concours d'Elegance seemed more about all of the previews it is still nice to see a classic winning Best in Show, which it has. Let me start off at bat: Don Marchionne is a great man. Period. I didn’t agree with him with his paltry 5 year electrification plan for FCA Group, but with his expedited departure, we can now look back with definitive successes and failures. This is how the Era of Sergio Marchionne came to an end, and the Era of Jeep begins as the dominant force in the car industry, perhaps to equal that of Goliath General Motors, now that Jeep takes the world stage. 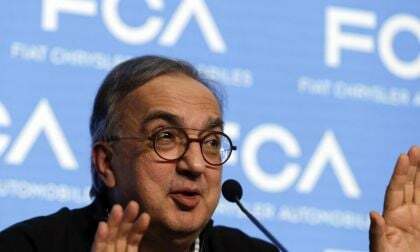 Sergio Marchionne, CEO of FCA Chrysler laid out a 5 Year Plan to investors in Italy last month that will be his swan song before leaving in April 2019. Investors were eager to know what his plans were to electrify the entire portfolio. He gave few details other than throwing money and some numbers. 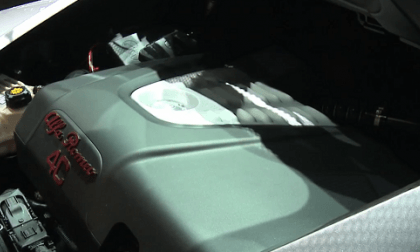 But this week he leaves it to his minions at Maserati and Alfa Romeo to hash the details as to how the Ítalo-American auto company will become electrified. Alfa Romeo is taking the wraps off its beautiful 2018 Stelvio Quadrifoglio. 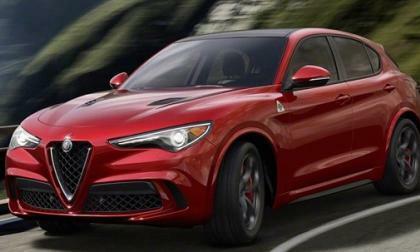 Alfa Romeo says the new 505 horsepower SUV will be the world's fastest, going from 0-60 in just 3.6 seconds. 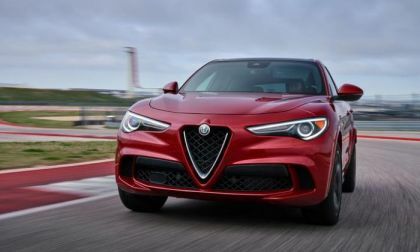 Fiat Chrysler Automobiles is boasting that the new 2018 Alfa Romeo SUV Stelvio will have 505 horsepower and go from 0-60 in Just 3.9 Seconds. It was unveiled today at the Los Angeles auto show. 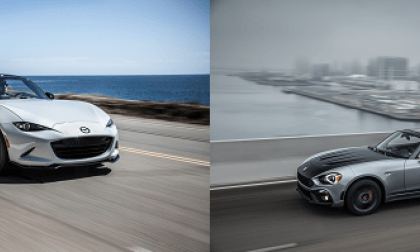 2017 Fiat 124 Spider Abarth vs. Mazda Miata GT– Which Is Better? 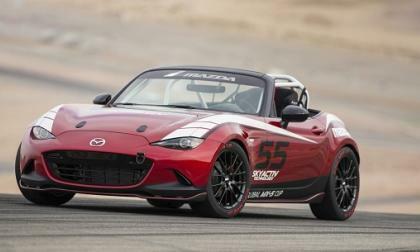 Both the Mazda Miata and Fiat 124 Spider have their charms, but the winner depends on one’s priorities. Read more about 2017 Fiat 124 Spider Abarth vs. Mazda Miata GT– Which Is Better? Over the past six days, the writers here at TorqueNews have offered up their favorite vehicles from 2015 including the BMW M4, the Dodge Challenger SRT Hellcat, the VW Golf GTI, the Acura RLX Sport Hybrid, the Alfa Romeo 4C and the new Mazda Miata. There is nothing more appealing than something that knows exactly what it wants and what its purpose is. This applies to people, places, and things. A person who knows exactly what they want is rare and a car that knows its exact purpose and that is built towards that purpose with single-minded focus.. is a gem. The Chrysler Group has been very quiet about what they plan to debut at the 2015 NAIAS in Detroit, but we can expect big announcements from the Alfa Romeo and Ram Truck brands while the Hellcat powered Dodge Charger and Dodge Challenger will help draw big crowds of people looking to feast their eyes on the most powerful American production cars ever. 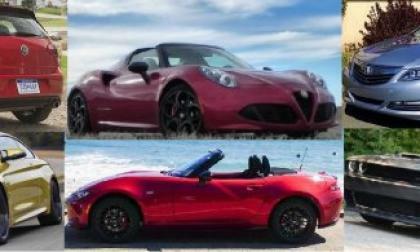 Will the 2016 Mazda MX-5 Miata-based Fiat be an Abarth, a Spyder or an Abarth Spyder? 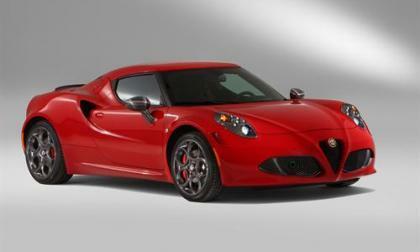 2015 Alfa Romeo 4C wins two major awards and sets a production-car lap record within months of its launch. 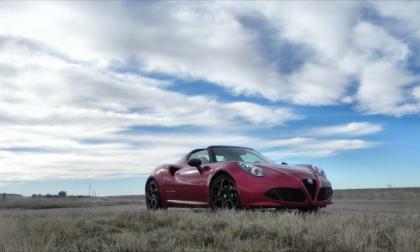 What cars did the 4C impressively beat? Will Mazda offer the Alfa's incredibly powerful engine as an option? A couple weeks ago word hit the internet that the new Alfa Romeo 4C had lapped the famed Nürburgring Nordschleife with a time of 8 minutes and 4.4 seconds – a time which the Italian automaker has confirmed in a new video on their official company YouTube page. The upcoming 2014 Alfa Romeo 4C compact sports car recently made a trip to the Nurburgring and turned a very impressive best lap of 8:04 – making it one of the fastest production road car to ever lap the famed German road course while also ranking alongside some of the biggest names in the sports car world. 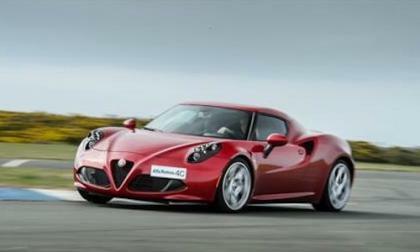 Alfa Romeo reveals the tech secrets of the new 2014 4C which represents the sport DNA of the compact supercar. 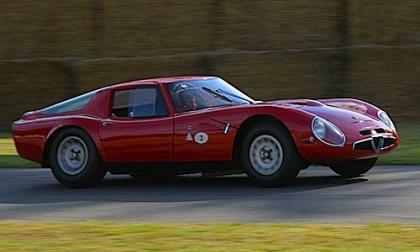 What did Alfa Romeo do to ensure the supercar would be sporty and fast? The Goodwood Festival of Speed is always a great event and this year it will be one of the best, with dynamic track running debuts for supercars like the Peugeot Onyx and the all-new Alfa Romeo 4C. 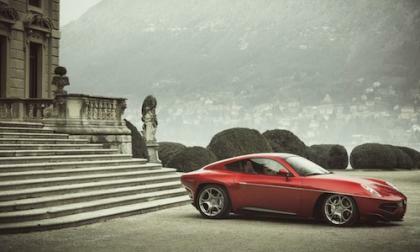 The audience at the Concours d'Elegance Villa d'Este saw visions of 1952 and has awarded the new Alfa Romeo Disco Volante by Touring the most attractive car award. 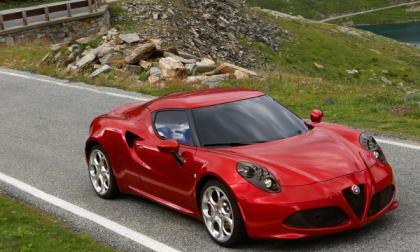 After the great success in Geneva, the all-new 2014 Alfa Romeo 4C is shown officially for the first time to the German public, but will they get excited about the Italian sports car? 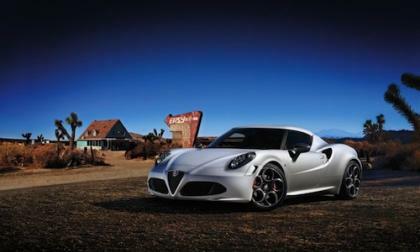 David Bowie is making a comeback after a 10 year absence with “The Next Day” album and the 2014 Alfa Romeo 4C is launching and both are using the past to project into the future. 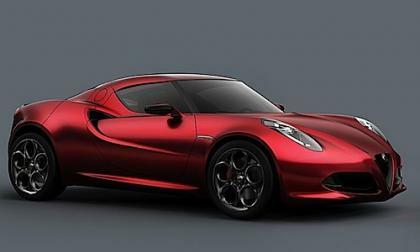 The all-new 2014 Alfa Romeo 4C is making its debut at the Geneva International Motor Show and a new exclusive Launch Edition will be available around the globe and here in the U.S. 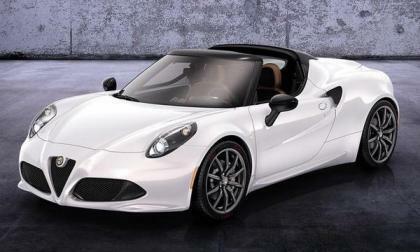 The Alfa Romeo 4C will help to reintroduce the Italian brand in US Fiat dealerships soon and today at the 2013 Geneva Motor Show, the compact 4C sports car made its global debut in front of the huge Suisse crowd – even though the company remains fairly tight lipped on the full specifications of the new US-bound Alfa coupe. 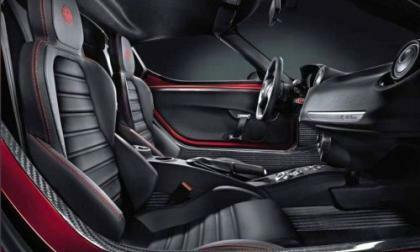 While the 2014 Alfa Romeo 4C will not officially debut until next month’s Geneva Motor Show, the Italian automaker has continued to tease us – this time offering us a look at the gorgeous interior layout of the US-bound mid engine sports car. When we think of European racers in the 1960s, Autodelta and Chiti are probably two names that pop up regularly. 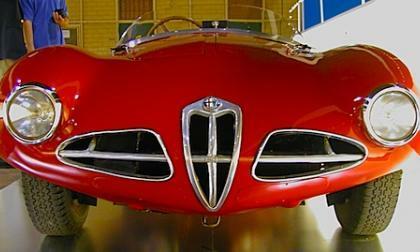 Alfa Romeo is celebrating 50 years of Autodelta. 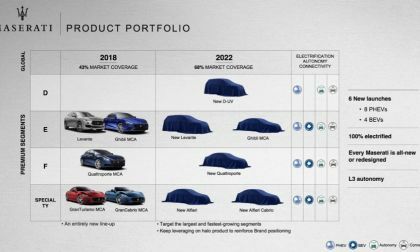 A Chrysler Group representative has confirmed that when the 2014 Alfa Romeo 4C arrives in the US market late this year, the top performing Fiat dealerships will be the first to receive their portion of the limited allotment of new Italian sports cars. 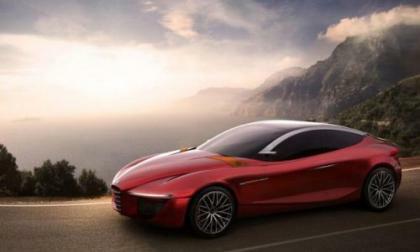 A collaborative project between Alfa and students at the European Design Institute, the Gloria is a car meant for the Asian and American markets. 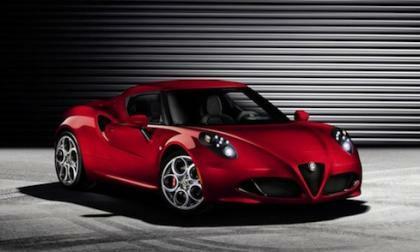 Alfa Romeo has released new images of the new 2014 4C, it will debut in Geneva, and the new sports car will launch in the U.S. in 2013. 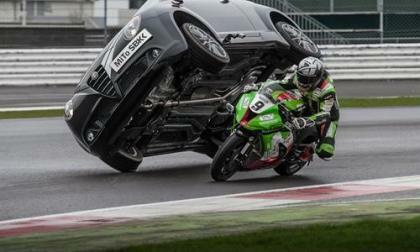 The new Alfa Romeo MiTo Quadifoglio Verde SBK Limited Edition was designed in collaboration with the FIM World Superbike Championship and to mark the new model's arrival in the United Kingdom, an awesome stunt called "undertaking" was performed with the car on the Silverstone circuit. 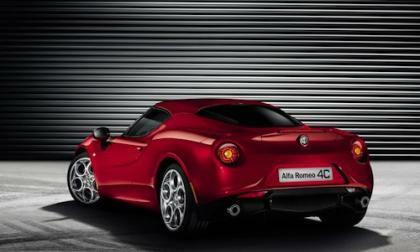 Is Alfa Romeo Seriously Coming Back To The U.S.? 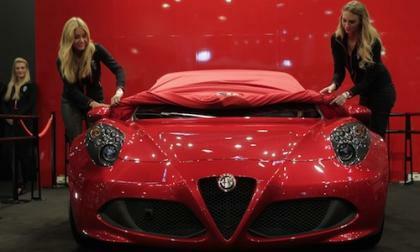 The missing Italian car manufacturer that has puzzled many for decades is rumored to be back again. Fiat sheds more light. 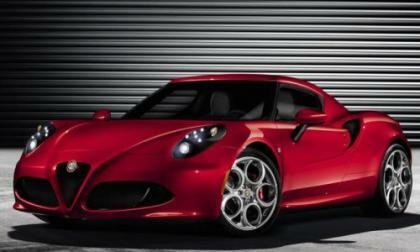 Read more about Is Alfa Romeo Seriously Coming Back To The U.S.? 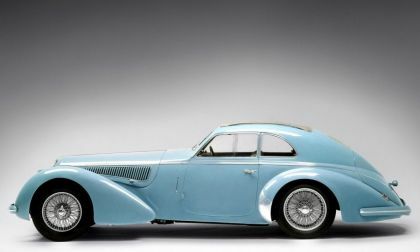 The various Pebble Beach auctions attract high caliber collector cars and redefine their ultimate value. But old classics are not the only ones there, the Infiniti Emerg-e Concept is also making its North American debut at the 62nd annual Pebble Beach Concours d'Elegance. The automotive charitable event held each year on the Pebble Beach Golf Links in Pebble Beach, California, has continuously attracted higher and higher caliber cars since its inception in 1950. This year is no exception.